This resource was developed to help service providers understand some of the traditional teachings, barriers to practice and challenges facing First Nations people, and ensure that their evidenced based practice is sensitive to cultural needs and practices. It provides a starting point for learning, engaging and acknowledging the history and teachings of First Nations people as they begin their parenting journey. It creates a cultural bridge by sharing the protocols for referrals to Elders, traditional people or medicine people. It can also reconnect Aboriginal people with lost teachings. 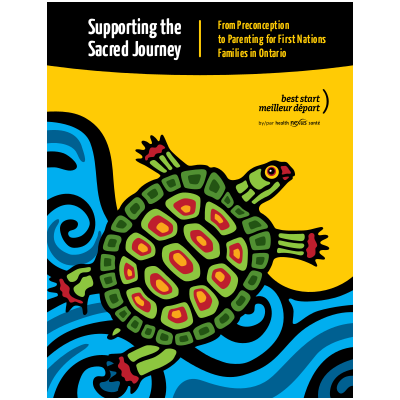 This resource also identifies challenges experienced at each of phase of the journey and includes practical tips and resources for practitioners to support First Nations families.